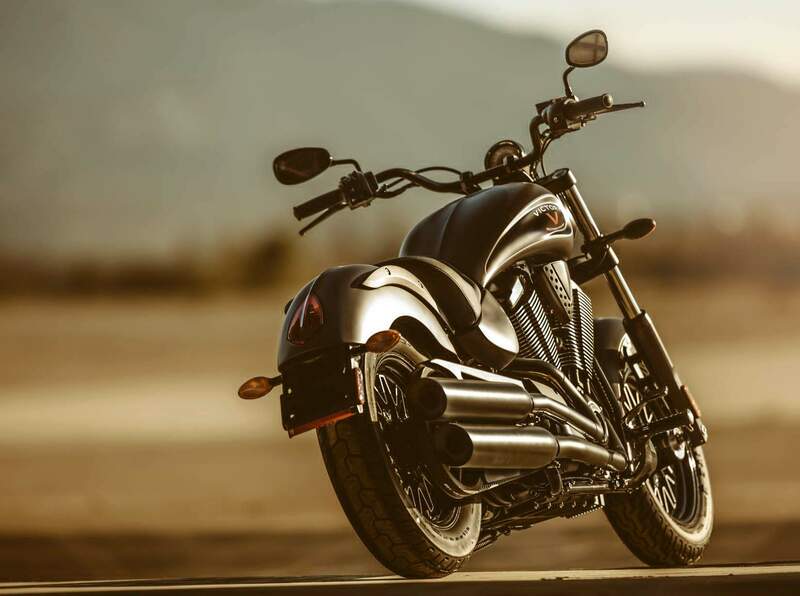 The Gunner is a stripped-down bobber — a popular category these days — featuring the big Freedom 106 cubic inch v-twin and six-speed gearbox refined by Victory over the past several years. This is one of the premier cruiser engines in the heavyweight category that typically dynos in the ballpark of 80 rear wheel horsepower. 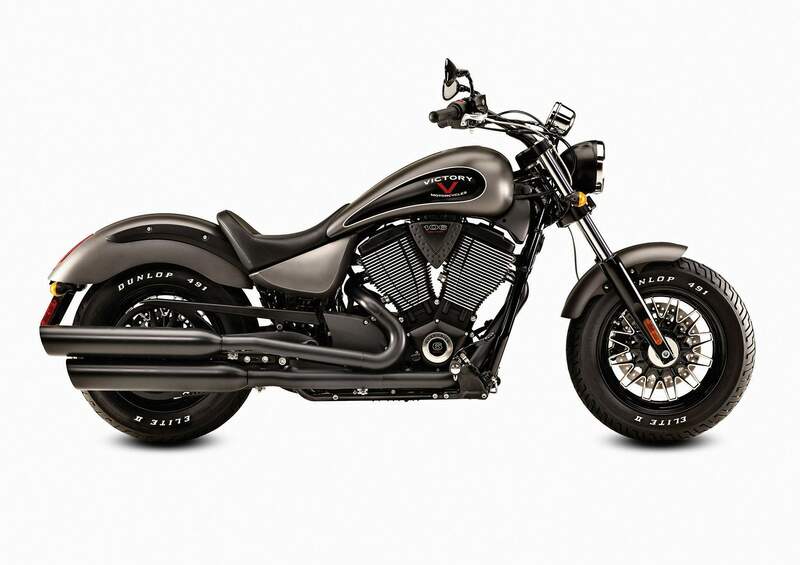 The Gunner features “Suede Titanium” paint, attractive multi-spoke cast aluminum 16-inch wheels (that carry narrow rubber, including a 140 section rear tire) and a relatively light claimed dry weight for the heavyweight cruiser category of 649 pounds. With disc brakes front and rear, the Gunner makes due with a single 300 mm floating rotor in front and four-piston caliper. As much of the motorcycling world embraces greater complexity and calls it “added features,” there’s something to be said for taking parts off. Such is the case with the classic bobber, a motorcycle taken closer to the core elements necessary to carry a person on two wheels. 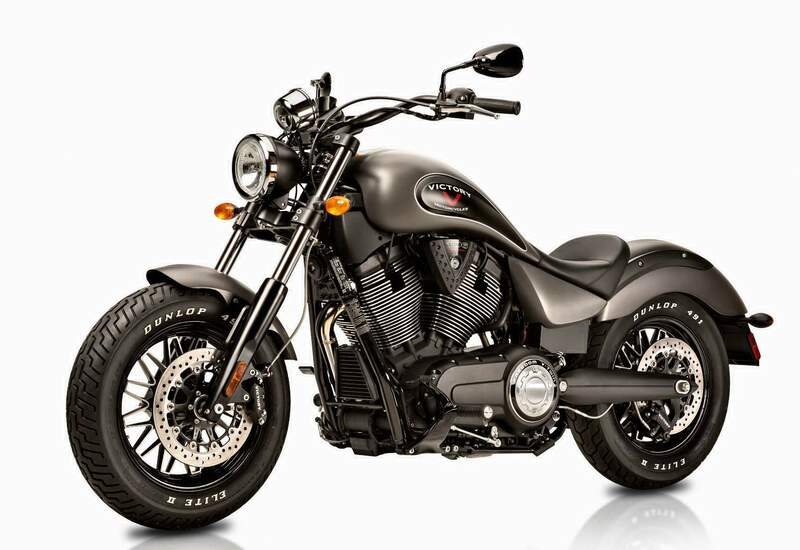 Victory’s 2015 Gunner embraces the stripped-down ethic but retains elements that the company feels “serious riders” would want in a bobber-style production machine. 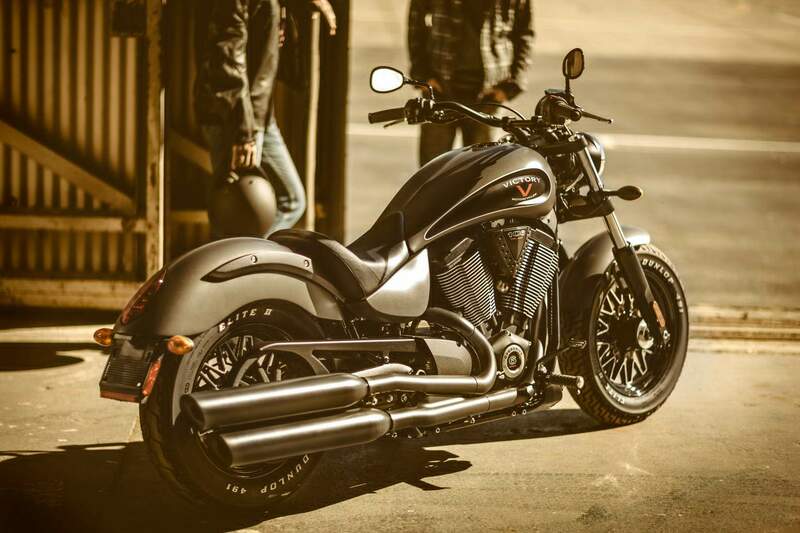 Which means the Freedom 106 cubic-inch 50-degree V-twin powers the Gunner, its four-valve heads (and hydraulic lifters) making this one of the best-running cruiser engines on the market. The engine, gearbox, and primary drive have continued to be refined over the years. Major upgrades came in 2011, with redesigned shift dogs and strategic use of helical gears to both quiet operation and reduce drive lash. Neutral assist was also added, which, as the name implies, makes finding neutral easier. Overall, this is a nice-shifting mechanically quiet powerplant that is much more refined in operation than early versions of the 106/6 powertrain. We expect output to be similar to that of the 2013 Judge, which, on the CW Dynojet 250i dyno, produced a healthy 81 horsepower at 4810 rpm and 96-pound-feet of torque at just 2920. Combine this power with a not-bad-for-a-cruiser claimed dry weight of 649 lb. and the Gunner should move along well. If it handles anything like the Judge, it will make us smile, too. And it will likely offer nearly identical steering quality because the chassis geometry (32-degree rake), wheelbase (64.8 inches) and tire sizes (130/90-16 front, 140/90-16 rear) are the same as those of the Judge. The new 24-spoke wheels are a nice touch, teaming with “Suede Titanium” paint and a 25-inch-high solo seat to give the Gunner its distinct look. 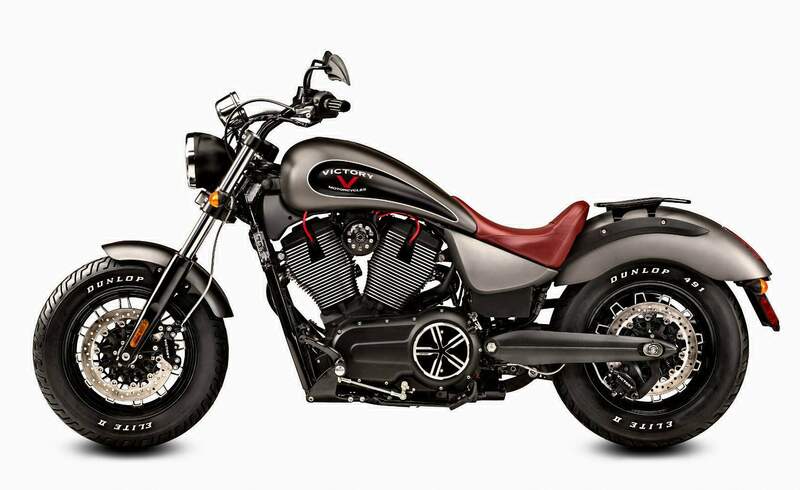 The lightweight 16" front and rear wheels have such unique and powerful style that the Vicotry Gunner looks like it just rolled out of a custom shop.